Super exciting share for you today ladies. 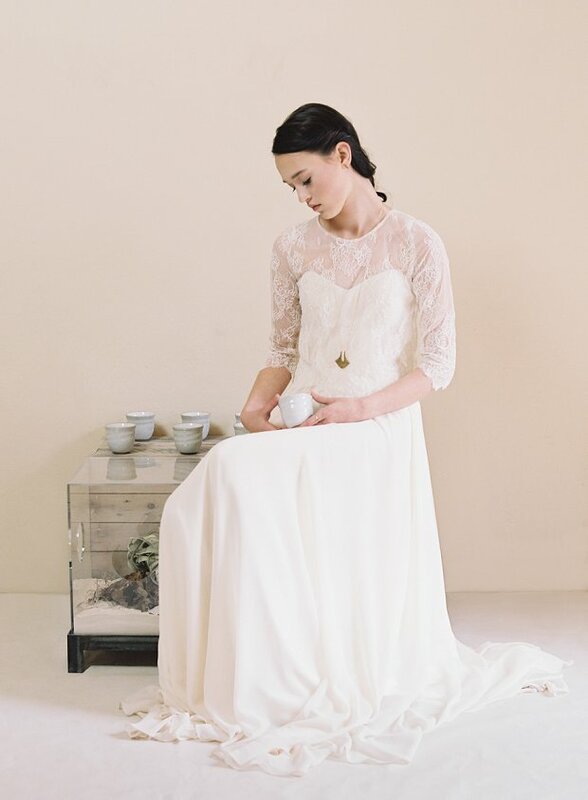 If you’re looking for an effortlessly modern wedding gown that also ticks the super pretty box – these gorgeous wedding dresses by Truvelle will not disappoint. 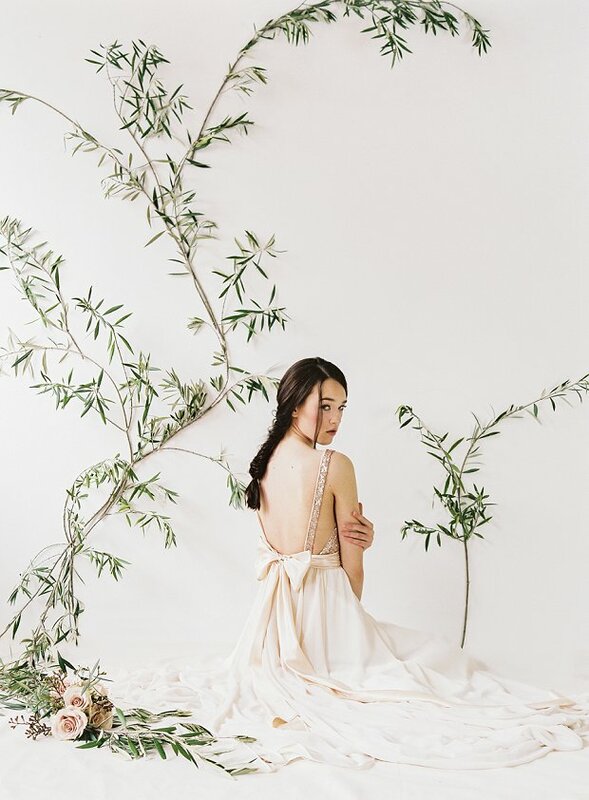 After 20 plus years in the wedding industry, Gaby the designer behind Truvelle, was struck by the oddness that in all of those years, wedding gowns largely remained the same. Frustrated by this notion, she created Truvelle. 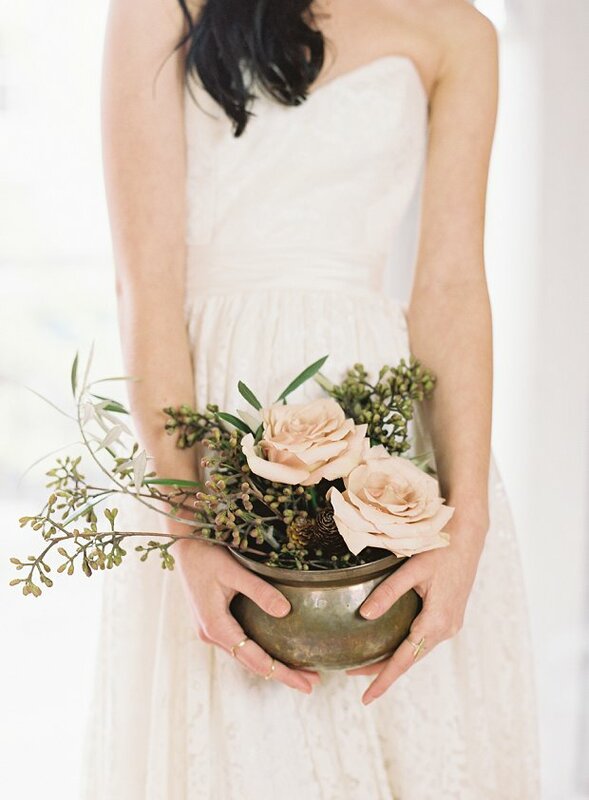 A collection for the truly modern bride! For 2015, Gaby has kept with her classic sparkling bodices, and has also added shimmer to unexpected areas, creating standout bridal pieces. 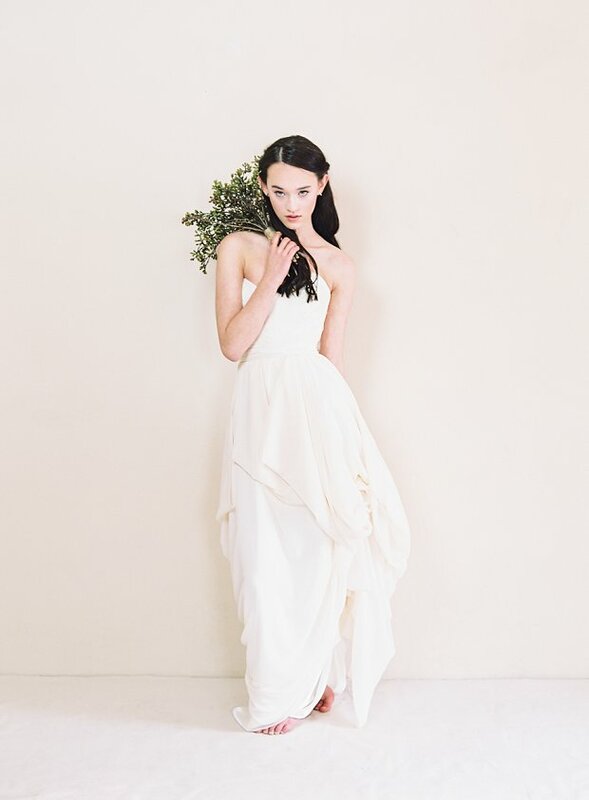 Truvelle’s 2015 collection embodies classic, effortless elegance with unique and modern touches. This gown features a plunging neckline, open sides, and a striking back. The skirt is made on the bias using almond chiffon, which flows effortlessly from the waist to the floor. 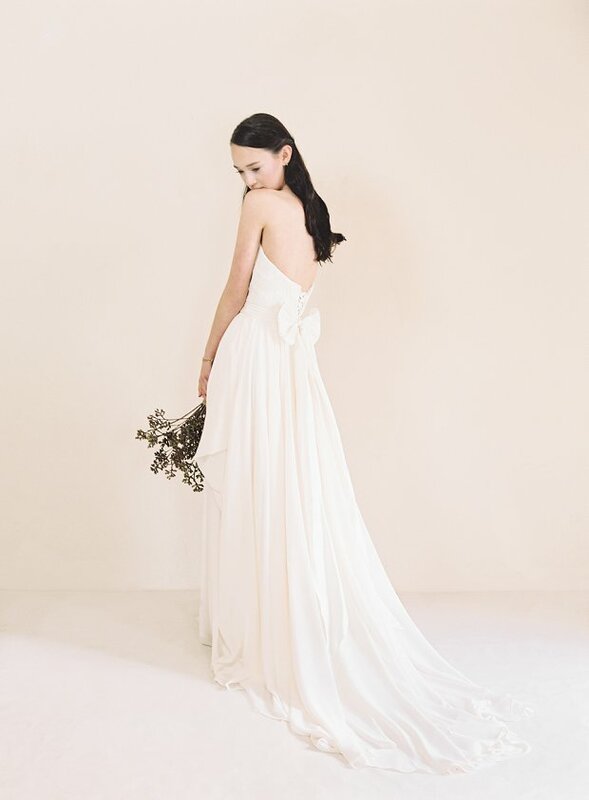 The gown is tied together beautifully with a silk bow that is both elegant and dramatic. This gown features a sweetheart neckline and low back. 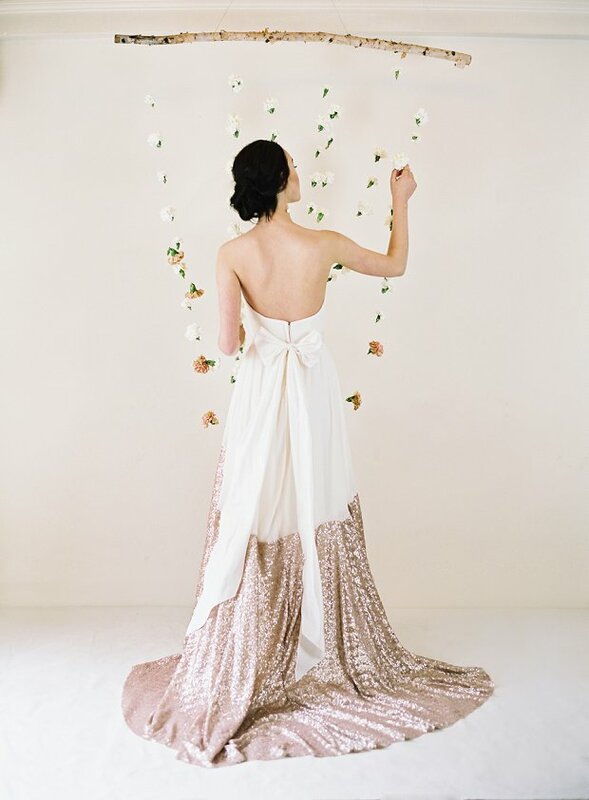 The skirt is made of 10 yards of hand-draped chiffon, which catches movement and the wind whimsically. 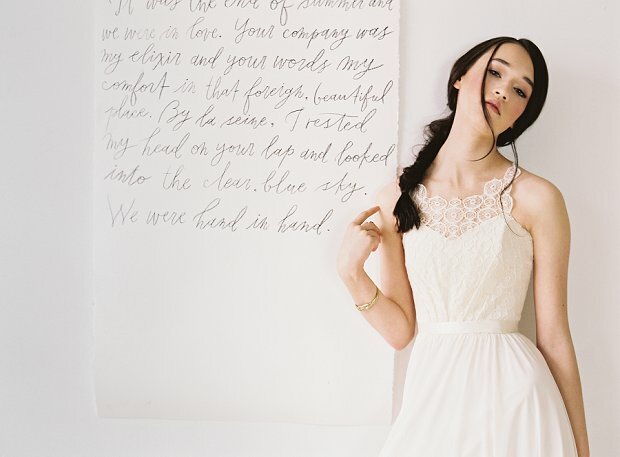 The bodice is made of a stunning chorded French lace which is slightly darker than the lining, making its design pop. The back dips into a lace-up, which allows for size flexibility and a perfectly adjustable fit. This gown features a sweetheart neckline, low back, and illusion neckline. The skirt is made on the bias using almond chiffon which flows effortlessly from the waist to the floor. 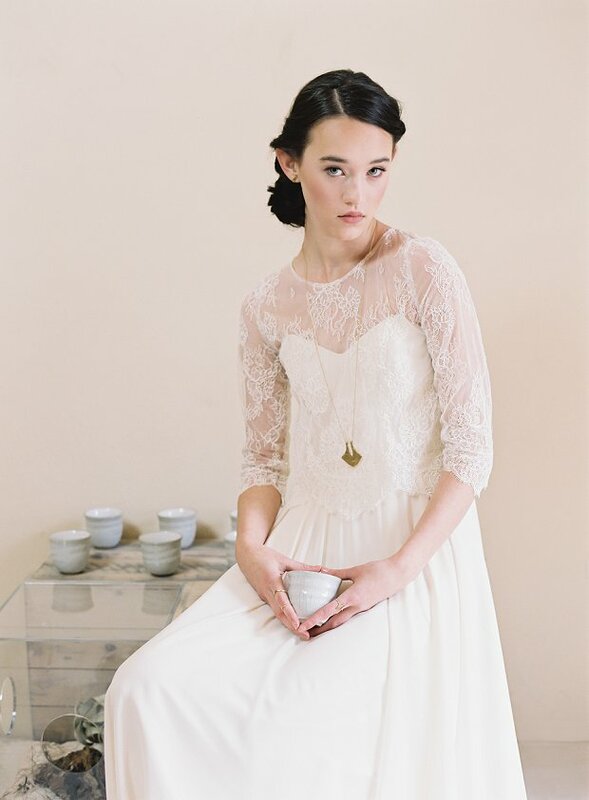 The bodice is made of an ivory medallion lace. 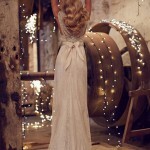 The back dips into a lace-up, finished off with a thin grosgrain sash. This gown features a sweetheart neckline, ruched lace bodice, and low back. The skirt is made on the bias using almond chiffon which flows effortlessly from the waist to the floor. 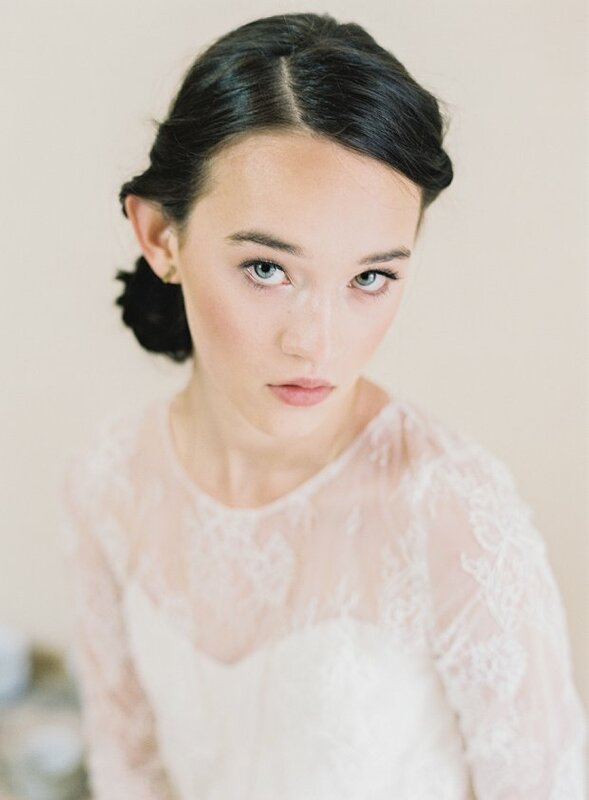 Elisabeth’s bodice is designed with hand-sewn lace, with grosgrain ribbon accentuating the gown’s boning. The back dips into a lace-up, which allows for size flexibility and a perfectly adjustable fit. The waistband is made of a stunning silver beaded trim. This gown features a plunging neckline, straps, and a low back. Intricately designed, Nicolet’s bodice perfectly combines lace, rose gold sequins, and ruched chiffon. The skirt is cut on the bias using almond chiffon which flows effortlessly from the waist to the floor. 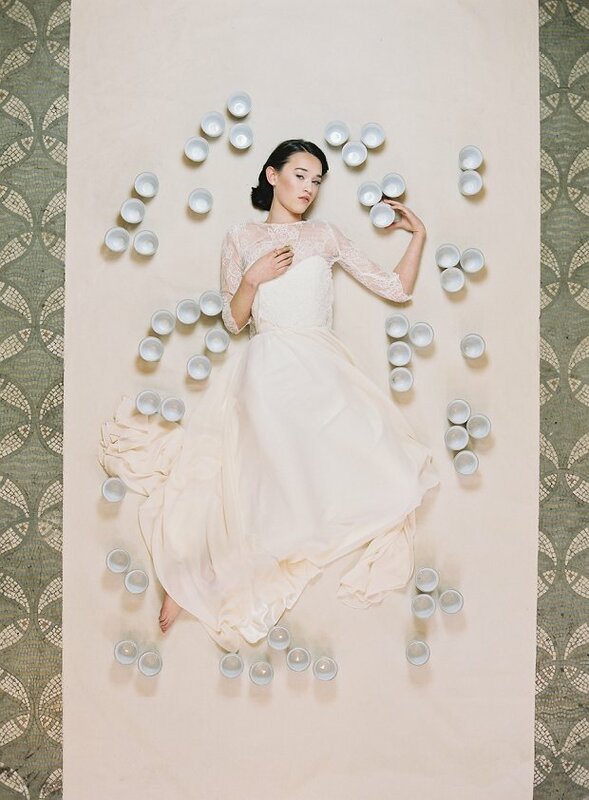 The gown is tied together with a latte grosgrain ribbon. This gown features a sweetheart neckline and low back. The skirt is made on the bias using almond chiffon which flows effortlessly from the waist to the floor. It comes with a stunning chorded French lace shirt, which can be worn loosely over the gown or cinched using a thin band. 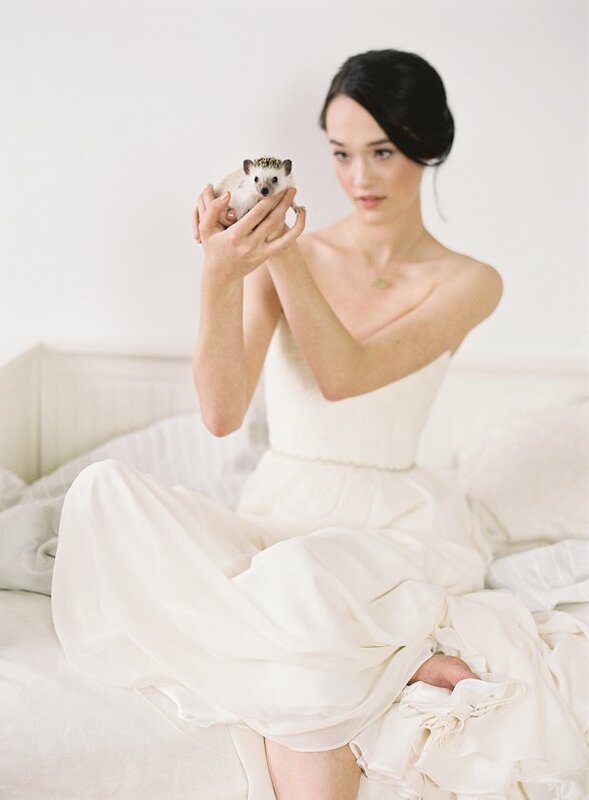 The shirt is removable, revealing a charmingly refined almond gown. 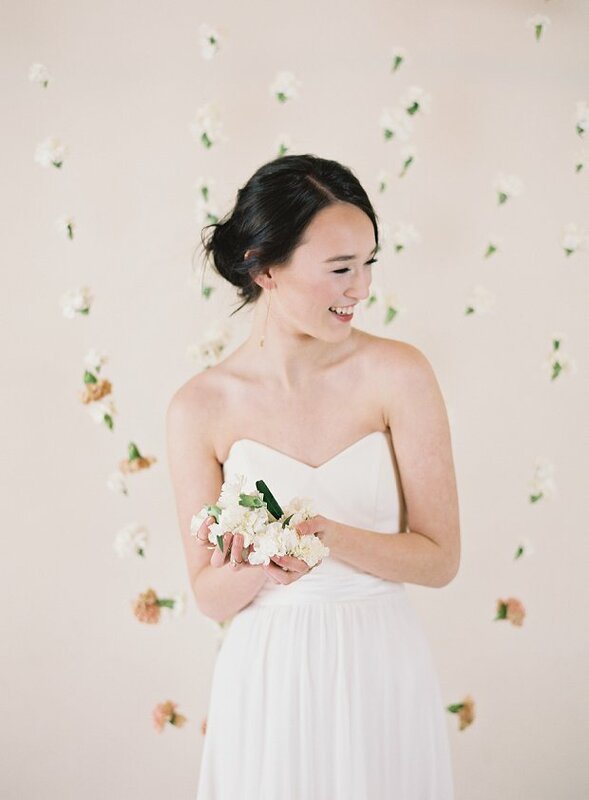 This gown features a sweetheart neckline, low back, and statement skirt. The refined bodice features a chiffon overlay, which melts into a zipper back. 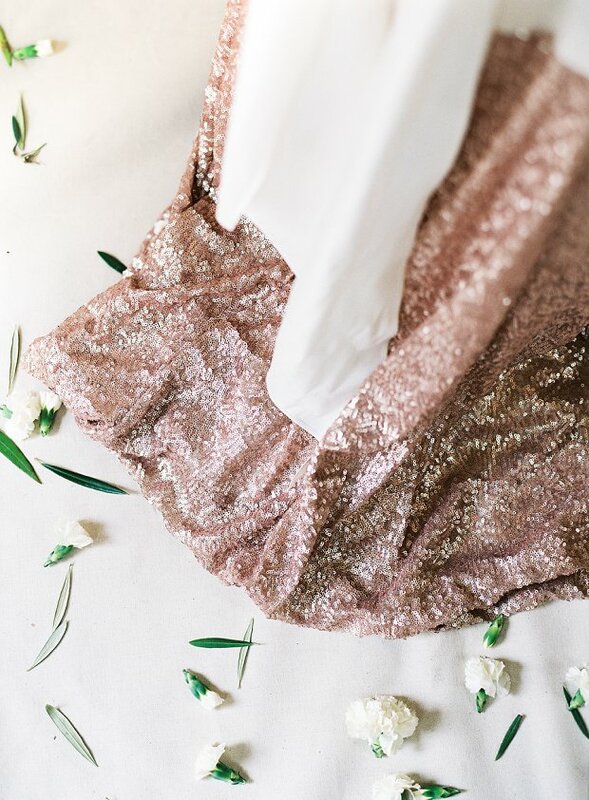 The skirt’s almond chiffon transitions into Truvelle’s signature rose gold sequin, creating a modern & striking finish. Sierra is tied together with an off-white grosgrain ribbon. Truvelle are currently available in South Africa, Australia, USA and Canada. They are not yet in the UK, but that should change following New York International Bridal Week where they aim to meet future stockists this October. They would like to reach many cities making Truvelle totally accessible. Currently, dresses can be purchased on Etsy.